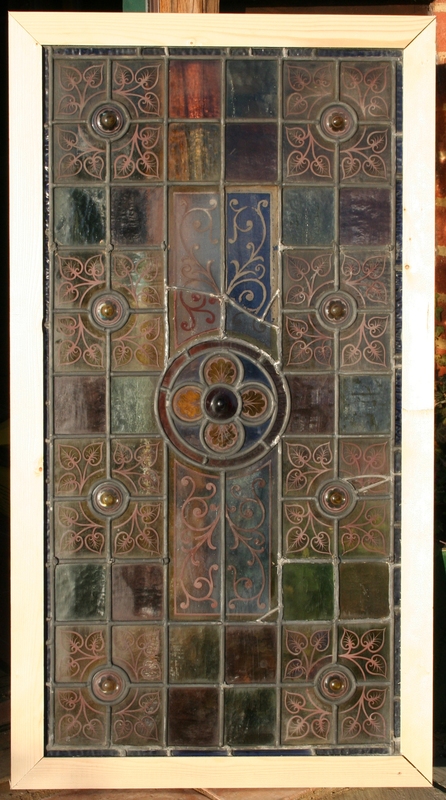 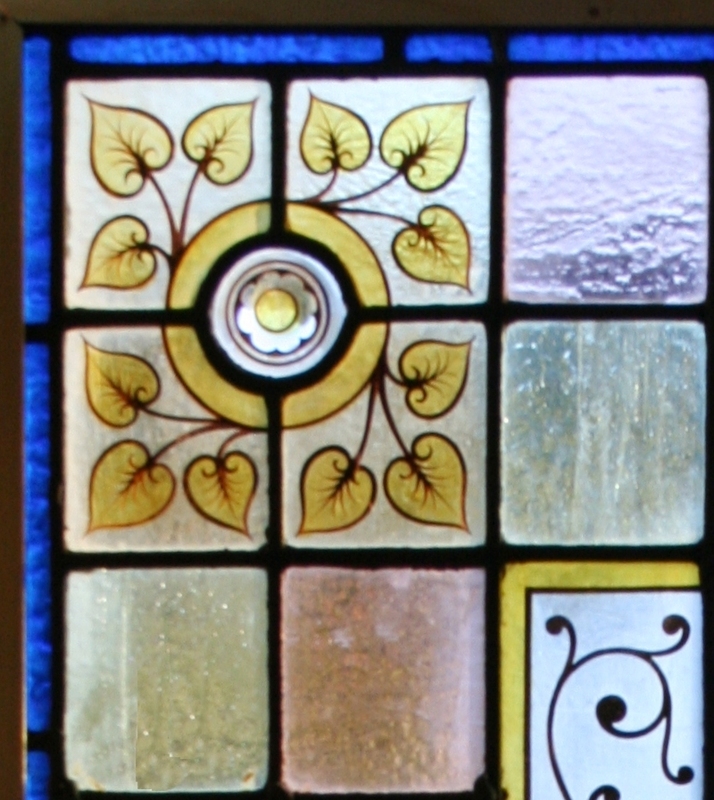 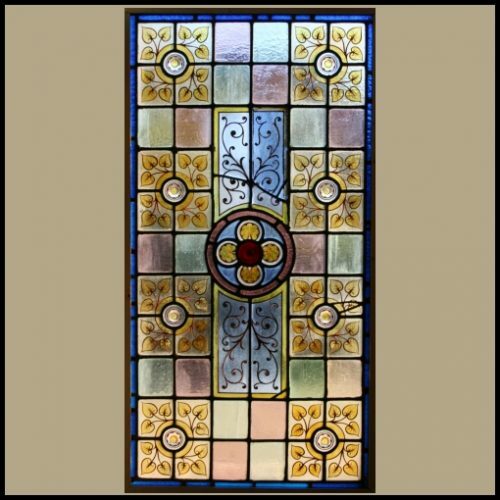 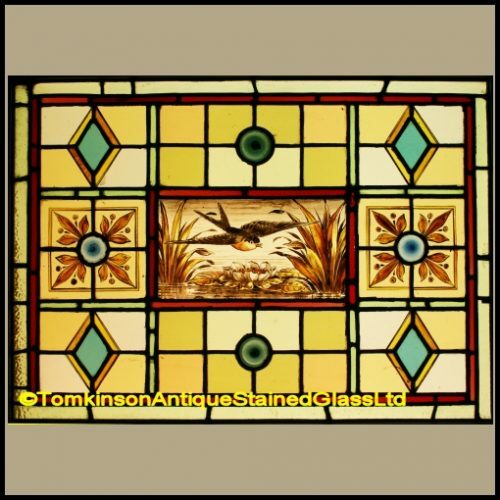 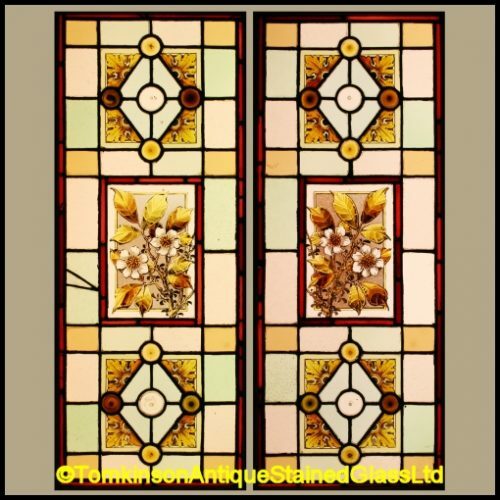 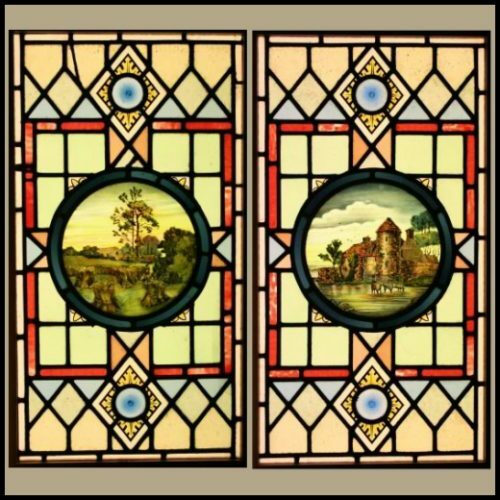 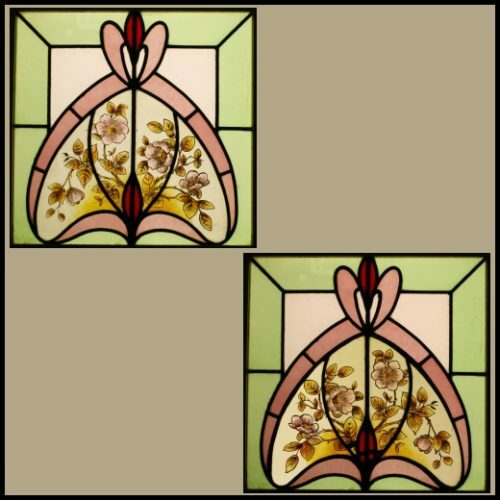 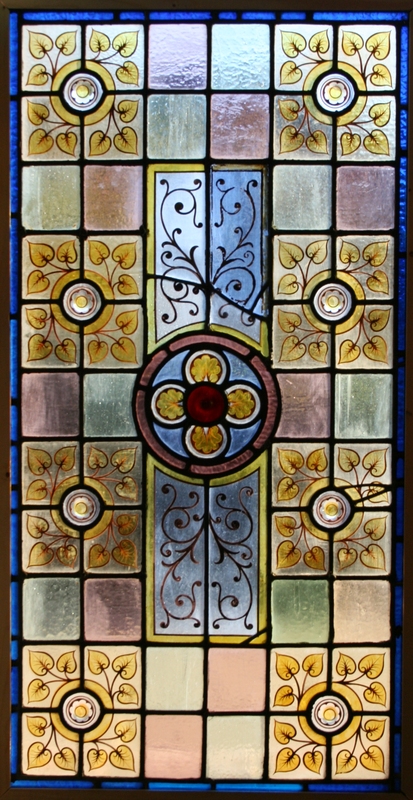 Antique Edwardian stained glass window with obscure pastel coloured glass leaded in a geometric design with hand painted Bull’s eye bullions and stylised flowers. 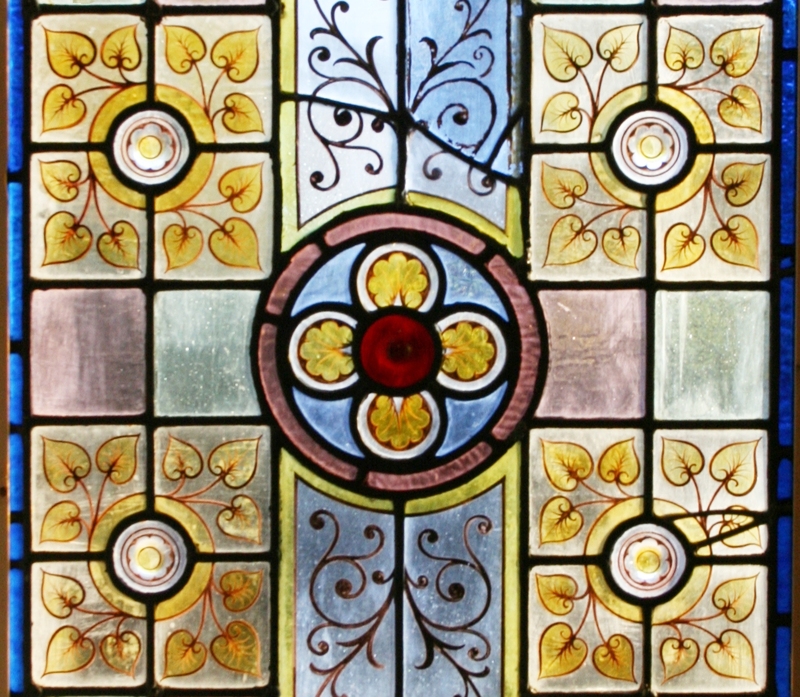 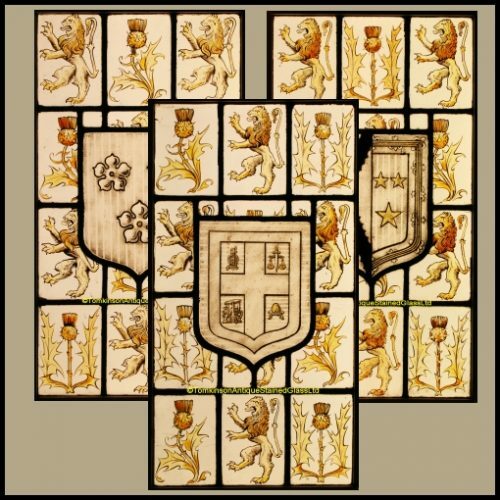 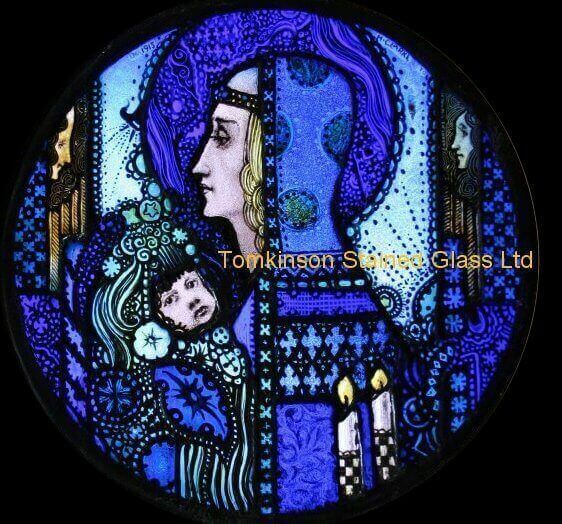 With leaded strap restoration keeping the window is original condition. 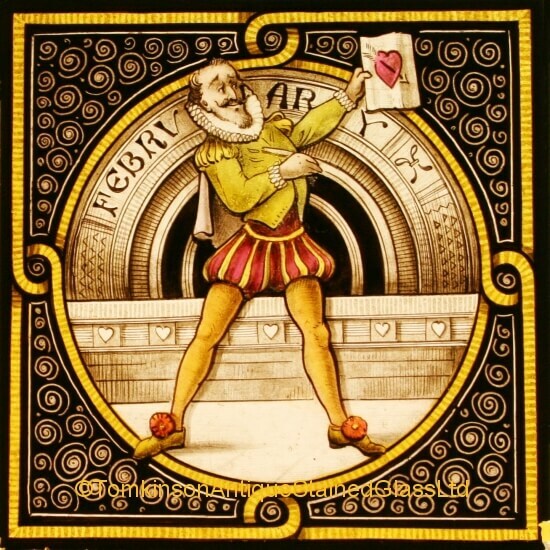 Can be used horizontal or vertical.